All over the world people are becoming better connected, creating cheaper, faster and easier access to products and services. Entire industries are being concentrated into single online destinations – termed ‘go-to’ platforms – disrupting as well as simplifying the way we live our lives. 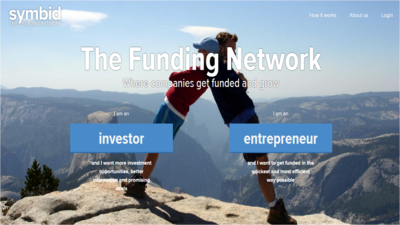 The Funding Network™ is the first comprehensive online platform for SME finance, providing entrepreneurs with direct access to equity and loan crowdfunding, bank loans, venture capital, angel investors and investment funds. Built around user-friendly investing, monitoring and data tools that enable everyone to track the performance of companies 24/7, The Funding Network™ bridges the information gap between crowdfunding and traditional investment methods through standardized data protocols. The Funding Network™ gives entrepreneurs access to all forms of finance, while offering (private and institutional) investors full transparency on the potential risks and returns of their portfolio. Every entrepreneur connecting to The Funding Network™ is guided towards the right type of funding with professional financial advice. Meanwhile, investors can personalize their deal flow according to key business criteria, pinpointing the investment opportunities that matter to them. This produces the most effective capital allocation service possible, underpinned by standardized XBRL data streamed from accountant reporting systems. 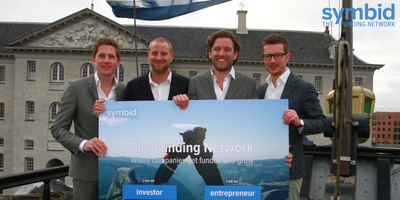 With over 40 funding partners already connected including banks, venture capitalists, angel investors, 30.000 private (crowdfunding) investors and affiliate platforms, the launch of The Funding Network™ on March 4 is just the beginning for Symbid. A signed partnership with financial advisory firm Credion means the expected total transaction volume of The Funding Network™ in 2015 is $800 million. “Symbid aims to revolutionize the financial industry in a way that enables more people to connect, fund and grow. We have but one message: let’s invest in each other,” said Korstiaan Zandvliet.